The DPSST Armed Refresher Course consists of no less than 4 hours of required training, which needs to be completed annually. The course consists of a lecture portion covering all key topics that were taught in the initial 24 hour DPSST Armed Security Course and a closed book 30 question written examination. The course also includes the DPSST Private Security Safe Gun Handling Assessment, in addition to the DPSST Private Security Handgun Proficiency Qualification Course. Individuals will have three attempts to successfully complete the DPSST Private Security Safe Gun Handling Assessment as well as the DPSST Private Security Handgun Proficiency Qualification Course. Upon completion of the DPSST Armed Security Refresher Course, each student will be provided all required paperwork which will need to be submitted to DPSST’s Private Security Division. 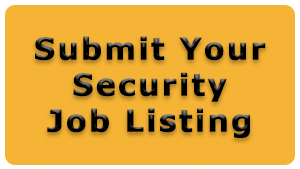 Armed Security Professionals are required to complete the refresher training and qualify each year by no later than the anniversary of their last successful qualification, which may be different than their renewal date. 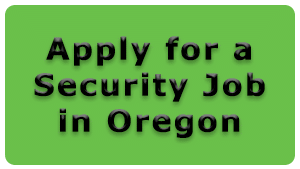 If an Armed Security Professional has completed the annual training a year prior to their certification expiration, they only need to submit the above mentioned paperwork with no additional state fees. The Unarmed Security Certification and the Armed Certification are independent certifications. If an Armed Security professional’s certifications are expiring, they would need to take both the Unarmed 4 hour refresher as well as the Armed 4 hour refresher. 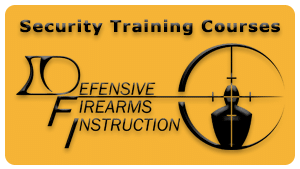 It is important to remember that class fees/range fees are paid directly to Defensive Firearms Instruction, which is separate from the state certification fee, which is paid to DPSST Private Security upon submitting the application. The state fee of $65.00 which needs to be made out to “DPSST Private Security”, can be made payable by Money Order, DPSST Credit Card Form, Cashier’s Check, or Business Check. If an individuals Armed certification has been expired for less than 90 days, that individual would be required to submit an additional $25.00 late fee to DPSST Private Security with their application and would not be able to work armed until the application has been submitted to DPSST. If an individual has been expired for more than 90 days, that individual would be required to retake the full 24 hour DPSST Armed Security Course. Each student is required to submit their Armed refresher application prior to their expiration date.